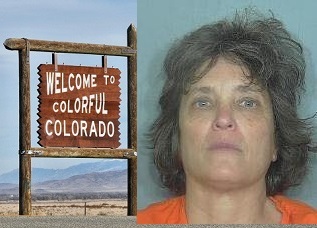 Weld County CO (Feb 10)--Colorado Offender 2788185 Deborah Ellen Frisch will finally be facing some BIG felony charges in Big Sky Country. Miss Debbie was transferred to Weld County Jail over the weekend. She is due in court tomorrow at 1:30PM, held on charges of Retaliation Against a Witness (2 counts), Violation of a Restraining Order and Probation Revocation.